this would surely be it. I have died and gone to fragrance heaven with this one and I am not a perfume person. EVER. It literally smells like suntan lotion and summer. 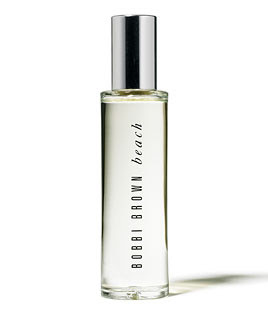 You know that Coppertone smell that brings you back to lazy days at the beach, well this is it. Go buy it. I'm telling you...beachy goodness. Bobbi never fails me. i've had this for awhile. my favorite, even in the winter! !